The Lord of the Rings, by J.R.R. 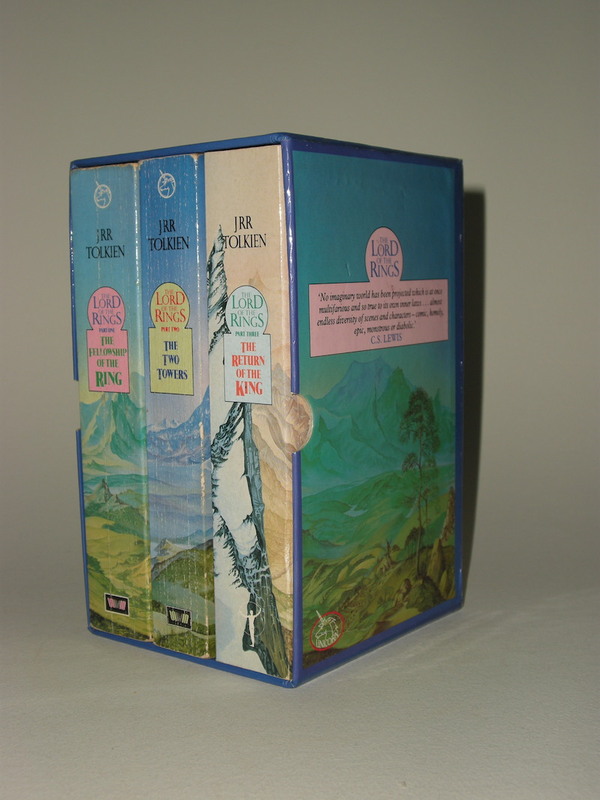 Tolkien, released by Unicorn, Unwin Paperbacks in 1986. 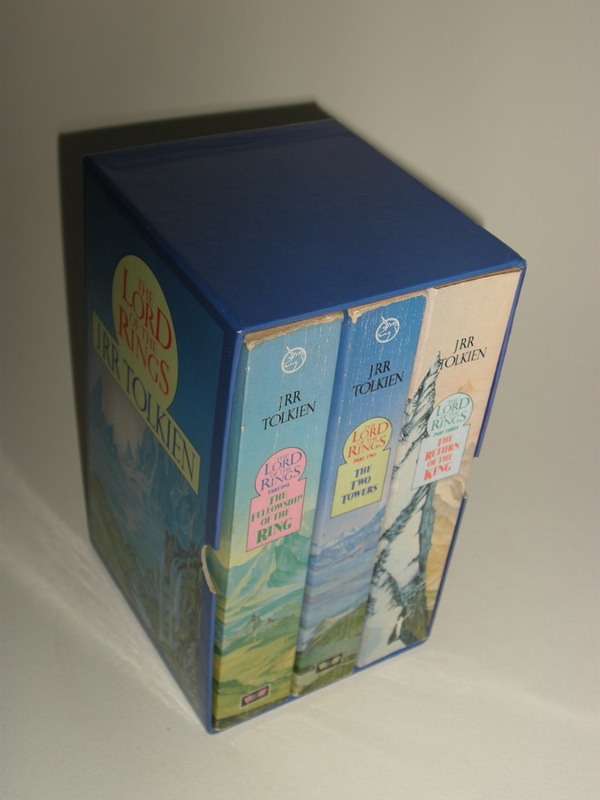 A paperback set housed in slipcase with artwork by Roger Garland. 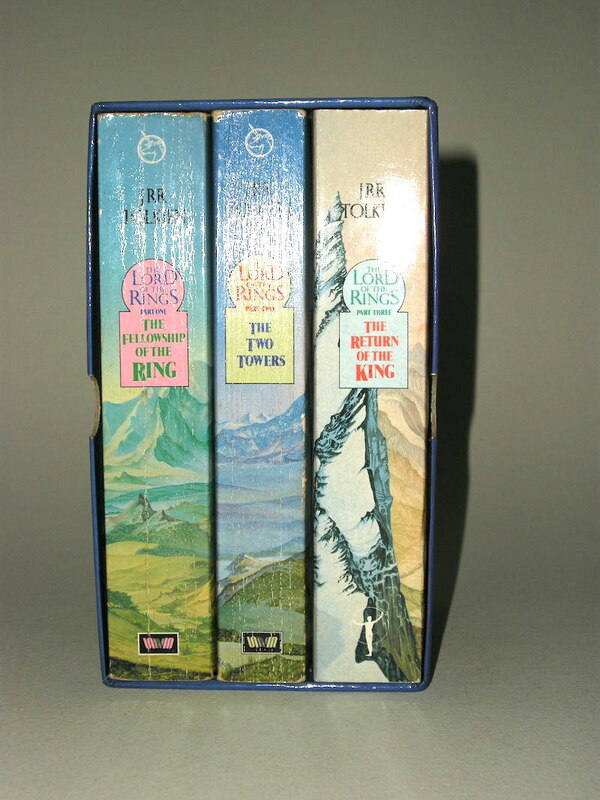 This set includes: The Fellowship of the Ring, The Two Towers and The Return of the King. 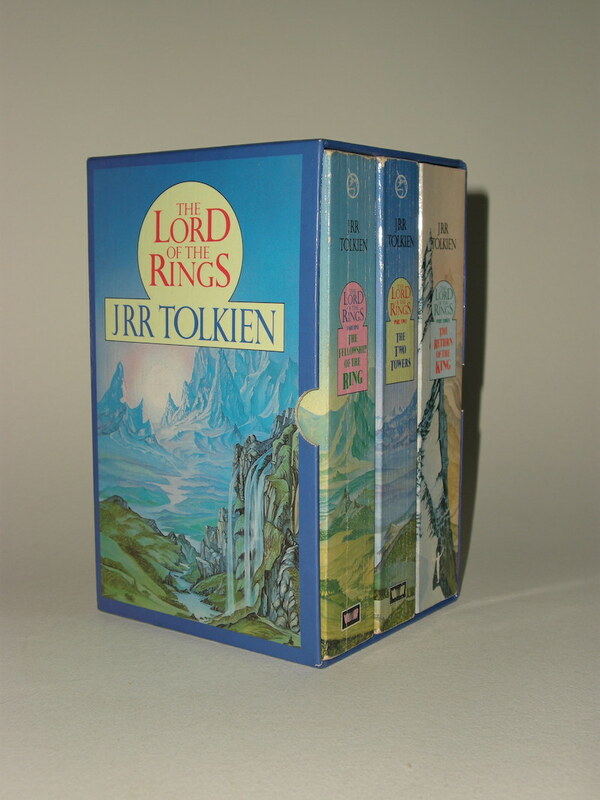 The Fellowship of the Ring is the 3rd reprinting from 1986. 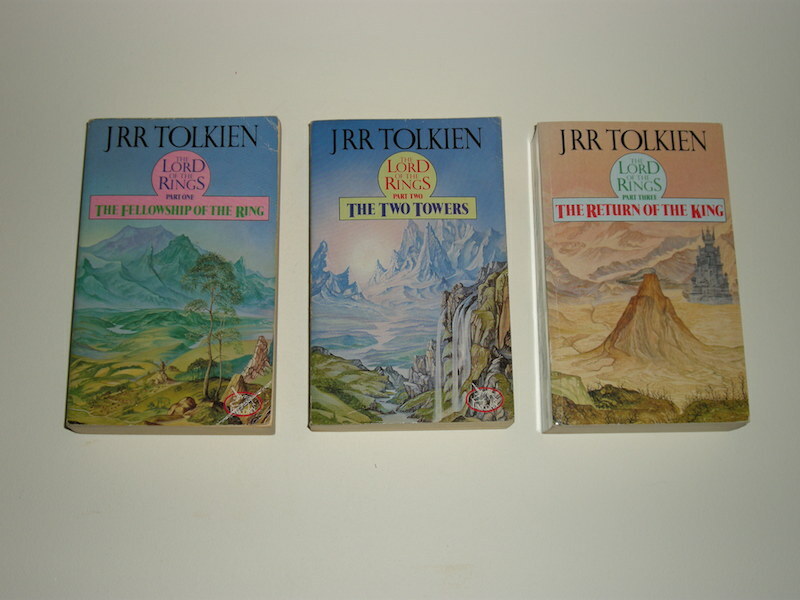 The Two Towers is the 2nd reprinting from 1986. 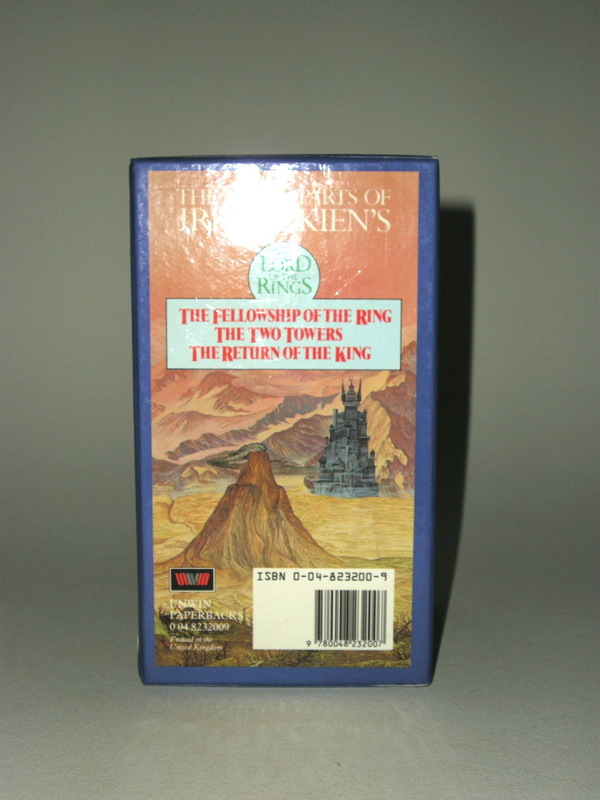 The Return of the King is a 1989 reprinting. 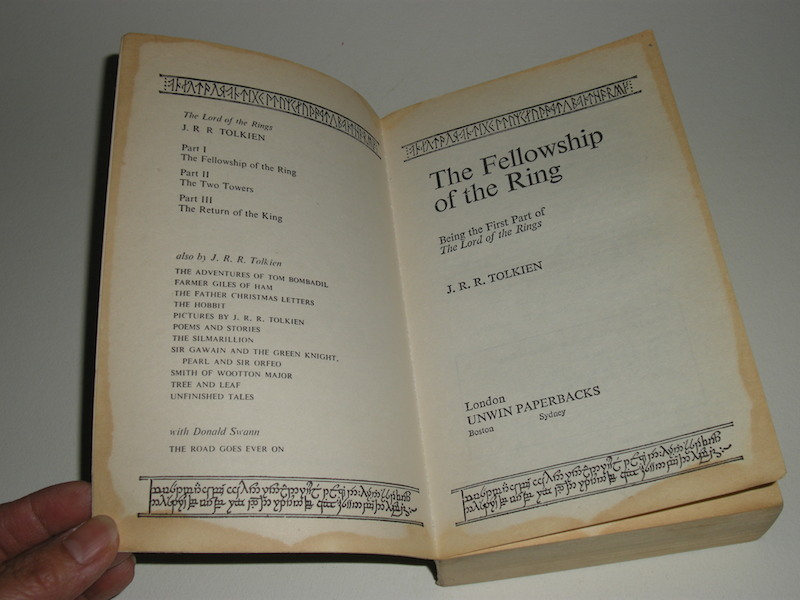 The Fellowship of the Ring has a lot of brown stains, especially around the edges of the first pages and to the bottom of pages 506 to 512. It has been read and has some pencil of the front end paper (for example a £2.49 price). The Two Towers also has been read, and also shows some stains, but for the rest a clean copy. The Return of the King has an ex libris stamp and previous owner signature on the title page. Clean text block and a € 5 pencil not on the final end paper. These paperback books are in read condition. With several bumps, rubbing and los to the corners. Strange combination of books to end up together in this slipcase. Probably the third book was replaced at some time by a similar, but later printing. The slipcase has a few rubs and bumps, mainly to the corners and edges, but overal looks in very good condition! A great find for the collector and a lovely set with the ring design by J.R.R. Tolkien.